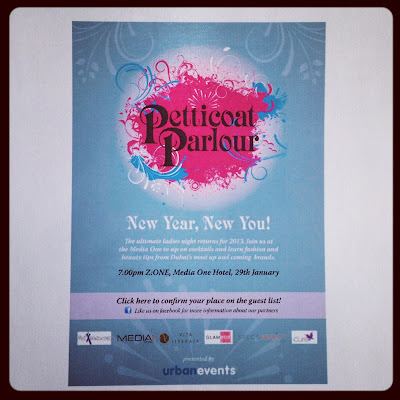 I spy with my little eye... the Petticoat Parlour. Ladies if you feel like getting pampered tonight, head to the Media One Hotel to meet with the bubbly Petticoat Parlour team! Cocktails, shopping, manicures and Glambox, they will all be there. Come have a vintage chat with Specsaddicts, get some of My Ex Wardrobe energy, and some The Cure TLC.